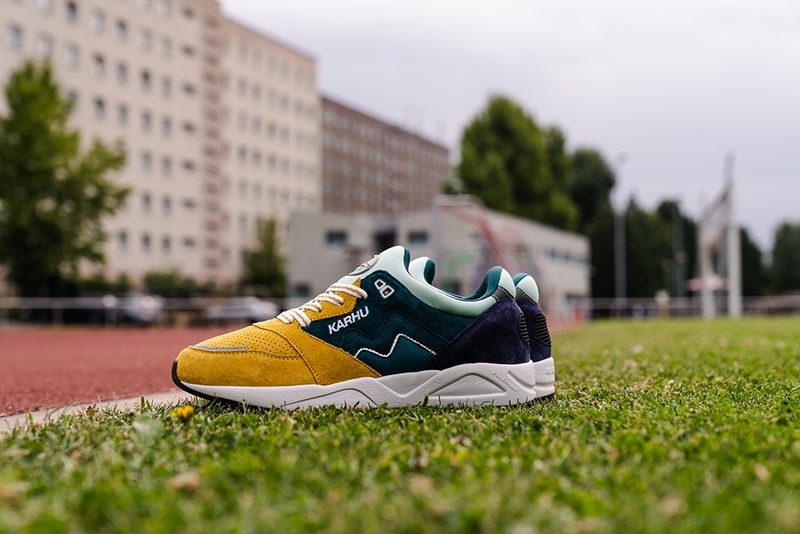 Track and field is close to Karhu's heart. 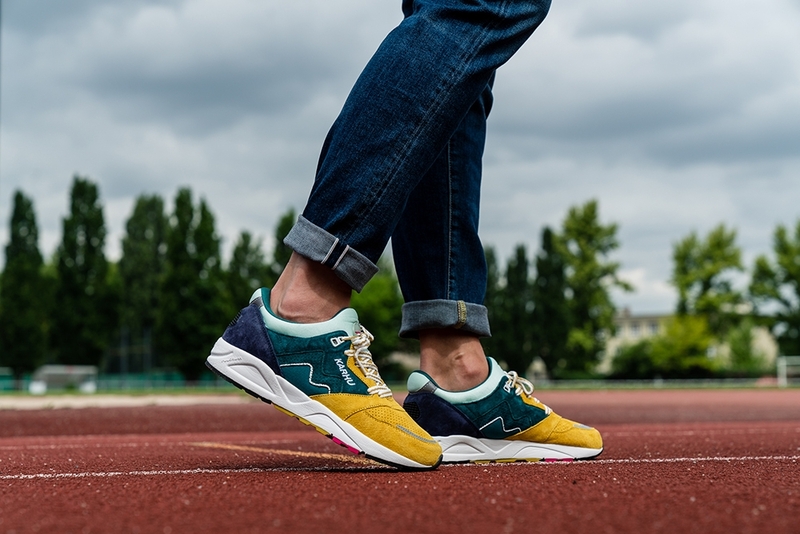 Over the years, Karhu has appeared on podiums at the Olympics, national and at college championships. 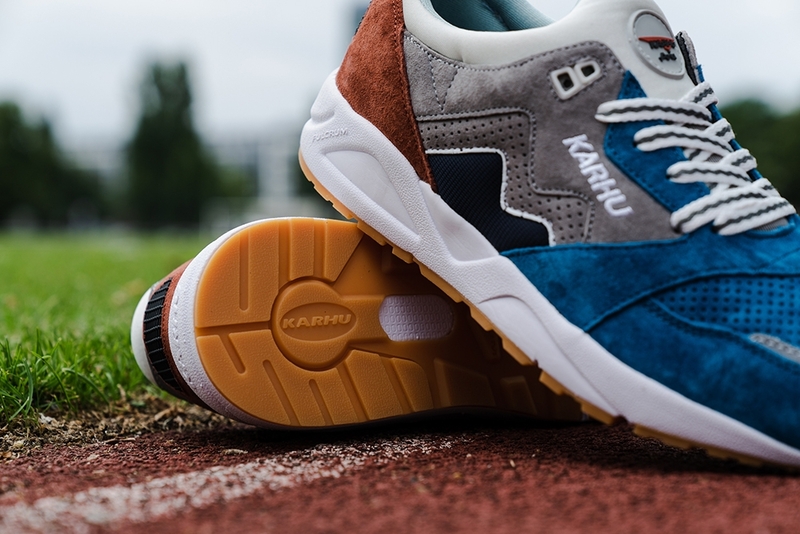 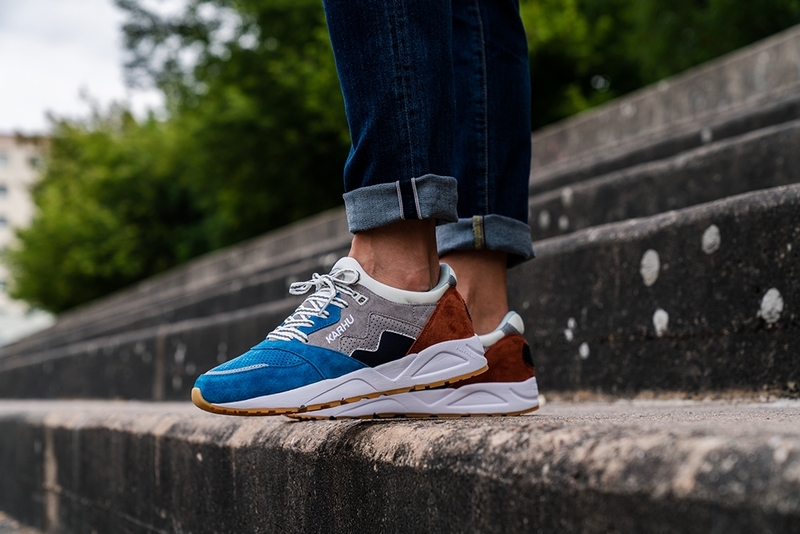 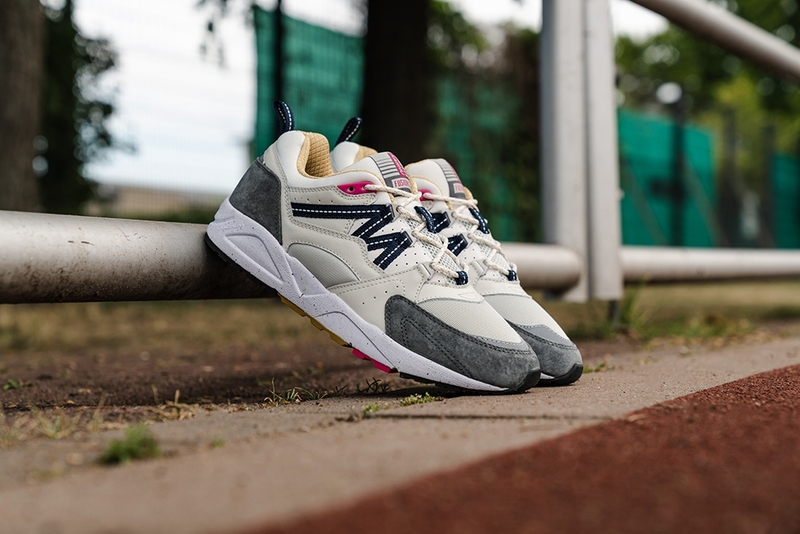 Karhu's latest release draws inspiration from race track surfaces around the world and various colours used on the tracks. 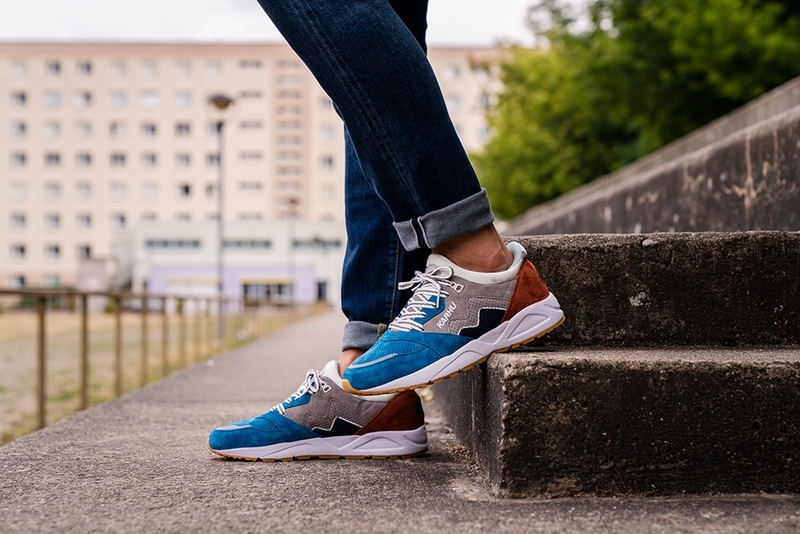 As a brand, Karhu takes a lot of inspiration from the athletics because they hold such admiration for the sports involved. 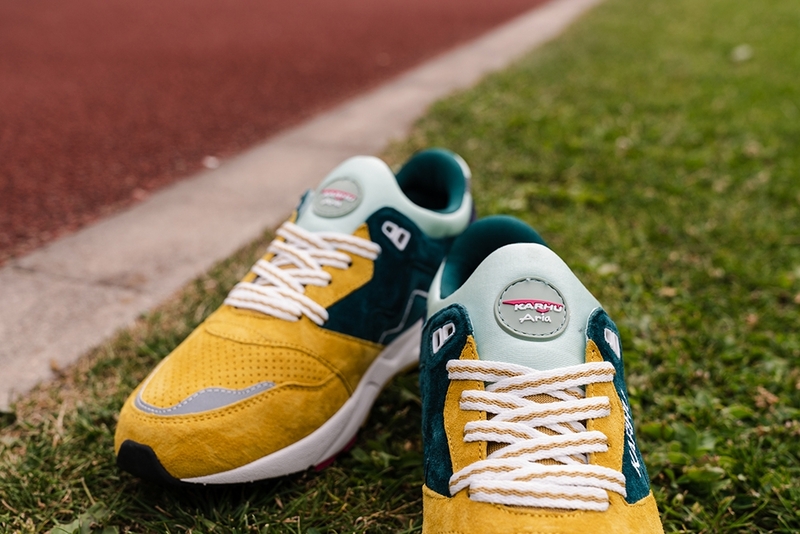 A passion for track and field and the competition surfaces around the world influence the colour assortment and material selection in this concept. 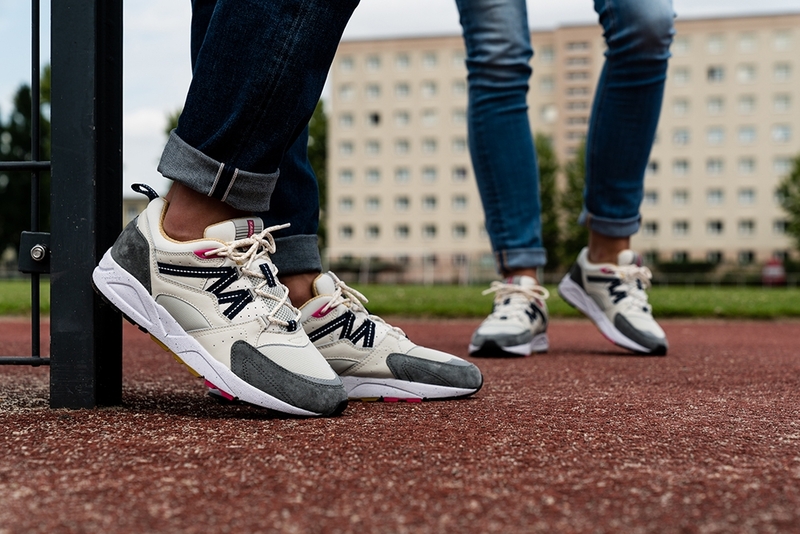 In this drop, Karhu delivers the Aria in two track-centric colour options. 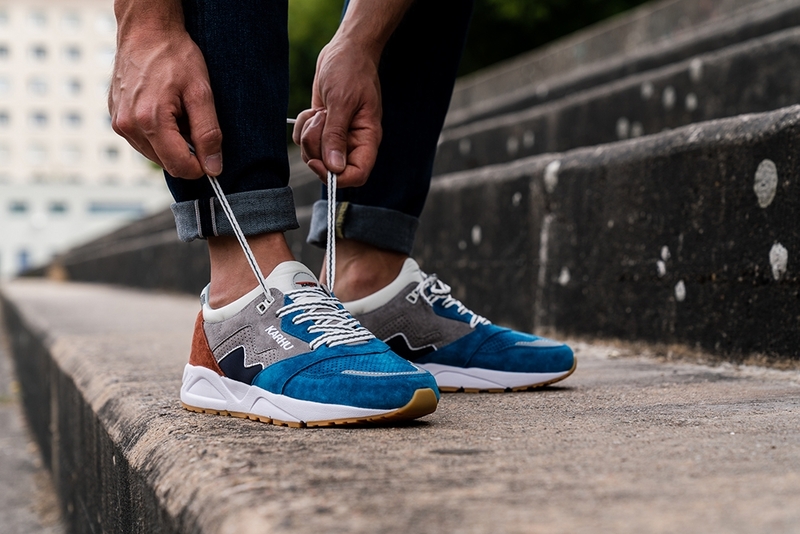 The first is colour-blocked with a warm rust suede heel and bold blue perforated toe box reminiscent of the track surface seen at the famed Drake Relays’ “Blue Oval”. 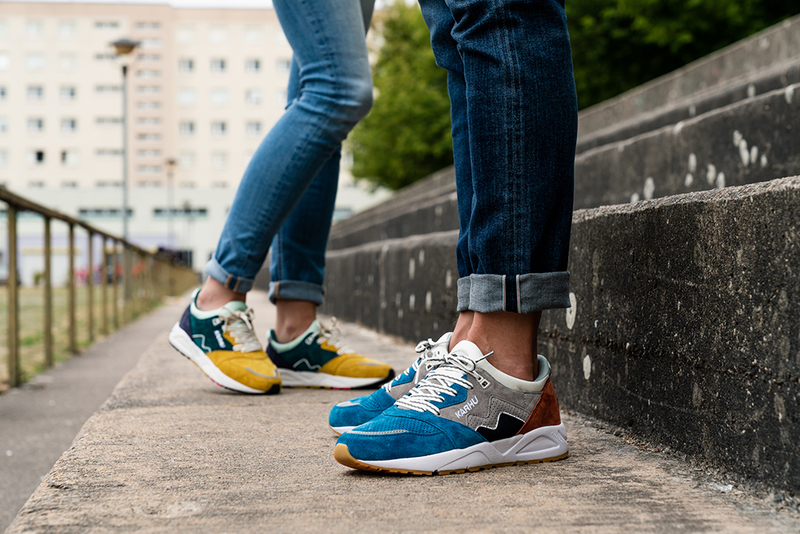 A gum rubber outsole completes the look. 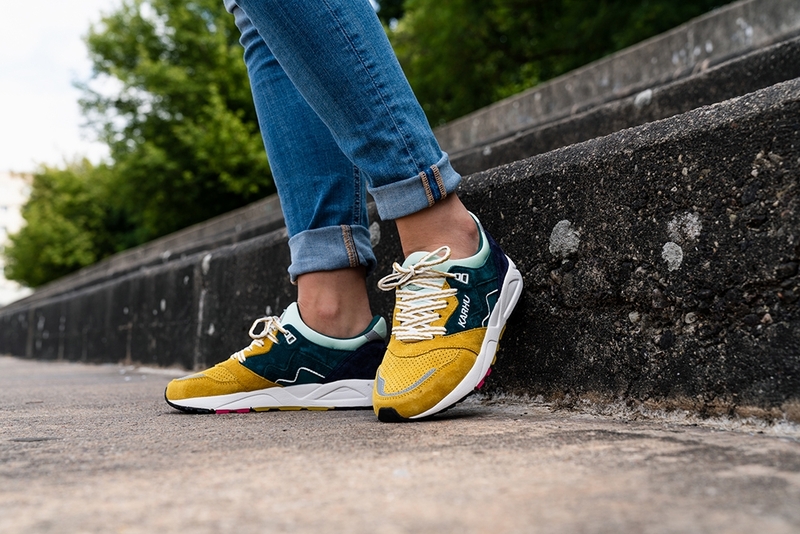 The second Aria option comes with a golden yellow suede forefoot similar to the track surface at University of California, Berkeley’s outdoor facility. 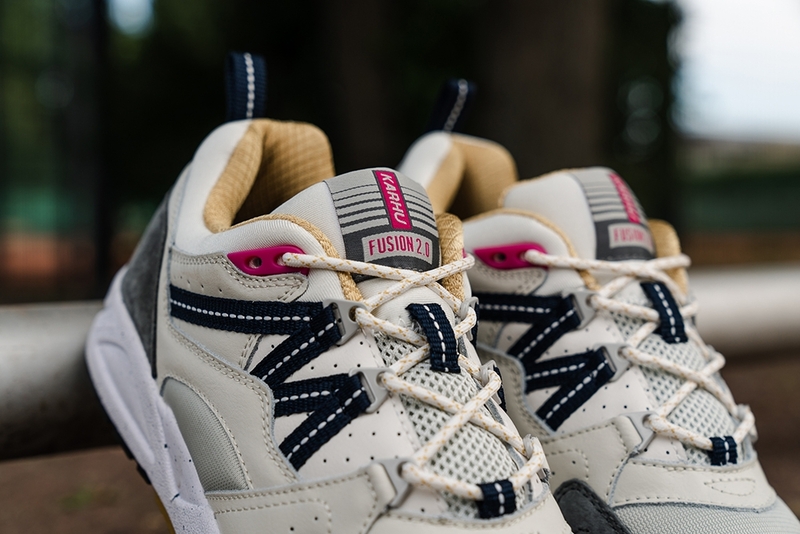 Both options have a reworked booty construction that is thinner and more comfortable around the foot. 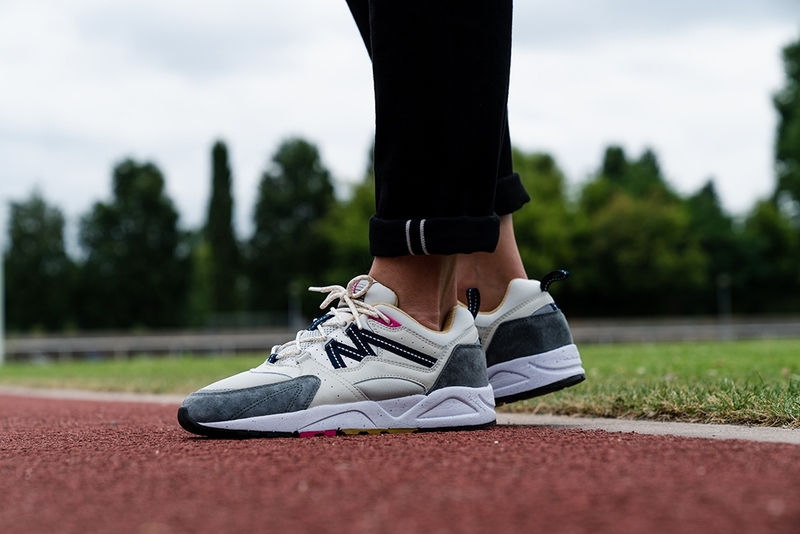 ff white tones creating a sporty look. 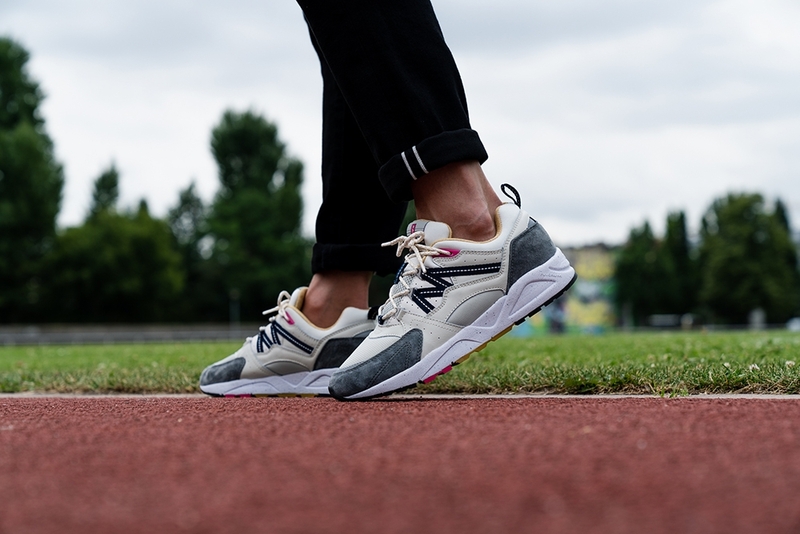 Before all-weather surfaces were installed at most race tracks, grey cinders with white chalk lines were the most commonly found. 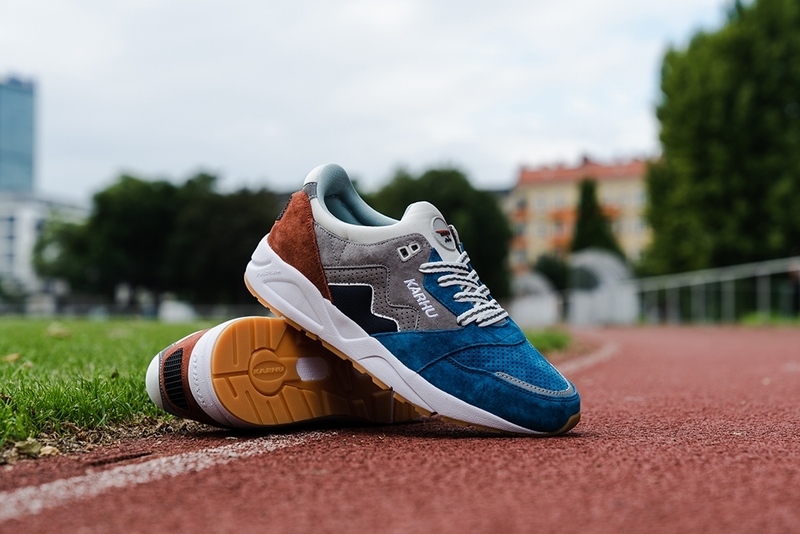 The Karhu Legend "Track and Field" pack releases on Saturday, August 4th, 2018 in store and online, so keep and eye out and pay us a visit!